A classic, high-quality and comfortable choice for the PHC Dad, our t-shirts come in navy and gray, 100% pre-shrunk cotton, sizes SM-XL. We also have sweatshirts in navy with gold/white embroidery, a different style than what is pictured here. Dad can proudly show off his school spirit in this 100% heavyweight pre-shrunk cotton T-Shirt! 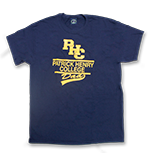 Gold/Yellow printed PHC Initials, Patrick Henry College bock lettering and Dad design on the front. Navy Blue in color. Available in S, M, L, XL, and XXL. Moms are pretty in pink! 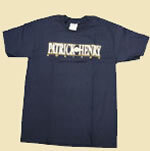 Enjoy the amazingly soft feel of this polyester blend fitted T-Shirt. 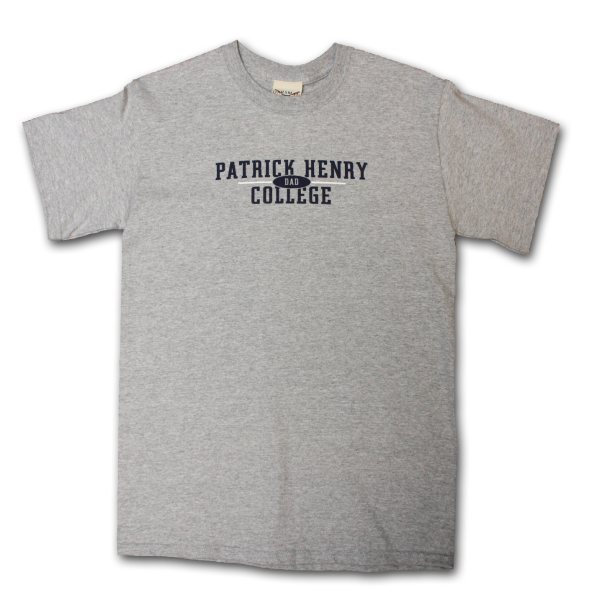 White printed PHC initials, Patrick Henry College block lettering and Mom design on the front. Available in S, M, L, XL, and XXL. 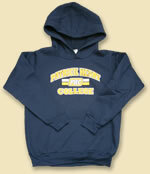 This hoodie is just the right gift for that special PHC graduate to show off his or her alma mater. 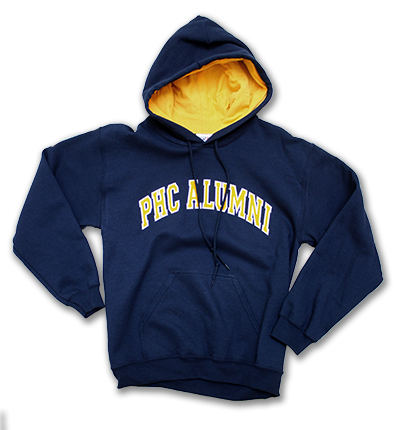 This navy 50/50 blend comes with the words “PHC Alumni” embroidered in gold and front pockets to keep your hands warm. Sizes S – XL. 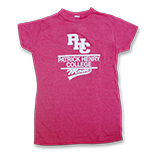 Enjoy working out in these durable 50/50 blend sweat plants with Patrick Henry College displayed on the leg. These open leg pants are available for both guys and gals in gray or navy, navy sizes S – XL. Grey L & XL only. Custom designed with the Alumni in mind! "No Hair So Fin We Cannot Split It" Available in four colors and comfortable 100% heavyweight pre-shrunk cotton T-Shirt. Available in S, M, L, XL, and XXL. $39.95 (hoodie) and $39.95 (crew). You won't find it anywhere else. 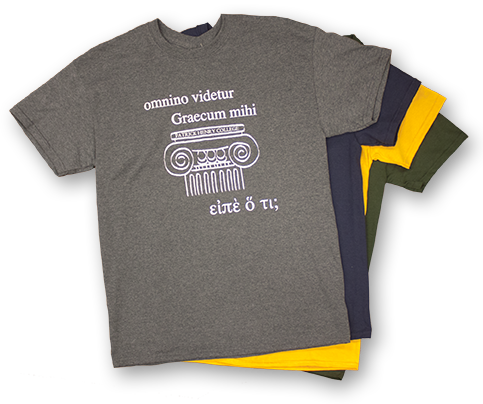 Latin "It looks all Greek to me" and the Greek "Say what?" Every PHC student should own one. 100% heavy cotton. Comes in gray, navy, yellow, and forest green. Adult sizes: S, M, L, XL. Navy. 100% cotton. Adult sizes: S, M, L, XL, 2XL. New navy hoodie for youth! For the future PHC graduate. 100% cotton. Sizes: sizes 6 month, 12 month and 18 month. Cupola design matches our bib.